The office in my house is a mess. 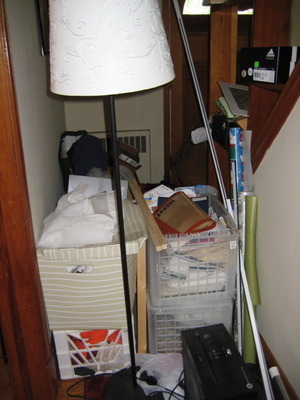 There are boxes everywhere, piles of books, dust bunnies in the corner, and general clutter everywhere. What should I do? It’s simple! Put it all in the hallway! P.S. 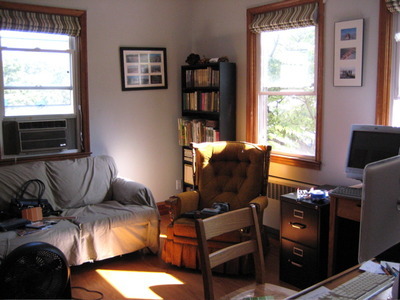 When you do this and then move the furniture to mop the floors, and put up new Roman Shades, your office will look great. This entry was posted in house/neighborhood. Bookmark the permalink. You did a beautiful job on the Roman shades. And now you have a lovely, restful room to relax in.